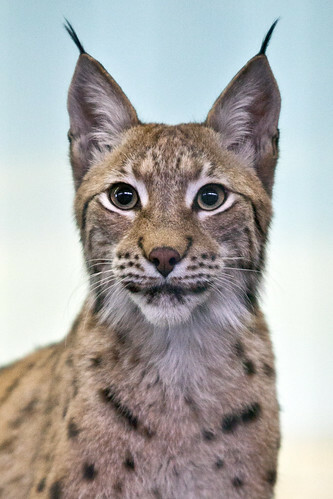 Eurasians are the largest of the lynx species, standing 28 inches at the shoulder. Short tails have black tips. Fur color is highly variable depending on geographic location and is almost always marked with black spots, but the number and pattern of these varies. The coat color in the winter ranges from silver to yellow to brown. In the summer the coat is shorter, coarser and tends to be more reddish. Animals from the more northern parts of their range tend to be paler and less spotted than those farther south. The underparts, chest, neck, throat, chin, eyelids, and the insides of the ears and legs are white year-round. 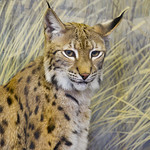 Eurasian lynx are often marked with narrow dark stripes along the back, and several dark stripes may also occur on the forehead, between the ears, and on top of the head. The cheeks may also be marked with a few irregular black lines. 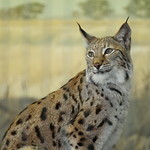 Eurasian lynx are found throughout Europe, Russia and central Asia. 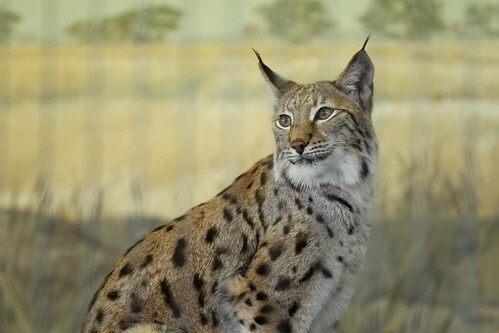 Populations have been reduced or extirpated in western Europe, but have recently been reintroduced in Germany, Switzerland, Italy, Yugoslavia and Austria. They are considered common in Russia and China. 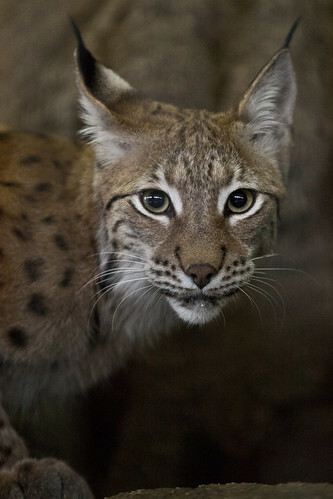 Eurasian lynx are listed as Least Concern on the ICUN Red List of Threatened Species due to their wide range. As a species it is not threatened but is vulnerable in certain parts of its range due to destruction of their prey base and habitat, the pelt trade, and conflicts with farmers. 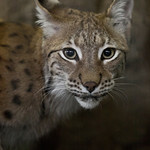 Eurasian lynx make their homes in temperate broadleaf and mixed forests or boreal forests with plenty of undergrowth for cover. They are also found throughout the northern slopes of the Himalayas, the alpine tundra, the mountains of the central Asian desert region, and the entire Tibetan Plateau. They can adapt to living in rocky areas, open forests and brushy spaces. They prey on small ungulates, hares, rodents and occasionally birds and eggs. Kittens are born in litters of one–four with closed eyes. They begin to walk after a month,and by 10 months they are independent. Males and females vocalize together, hunt together and sleep nestled next to one another. When the female is ready to mate she crouches down and raises her tail. 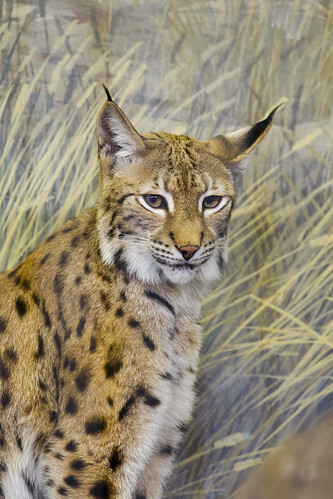 Eurasian lynx have large ears with an erect tuft of black hair on the tips. They also have a prominent facial ruff of long gray-and-white fur. 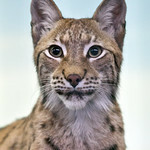 The Eurasian lynx are also known as northern lynx and common lynx.